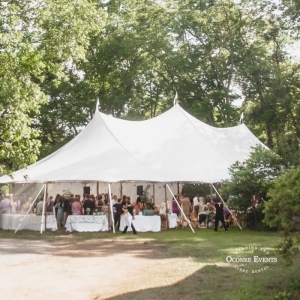 Please email info@oconeeevents.com for more information about pricing and availability for sailcloth tents. 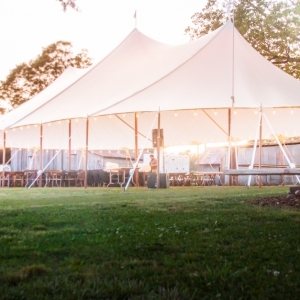 WHAT IS A SAILCLOTH TENT? 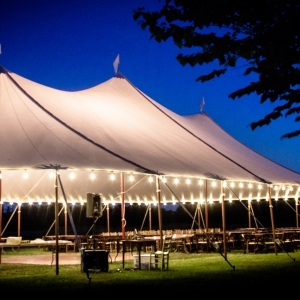 Sailcloth tents are another type of pole tent with canopies made from a translucent, canvas-blend material. 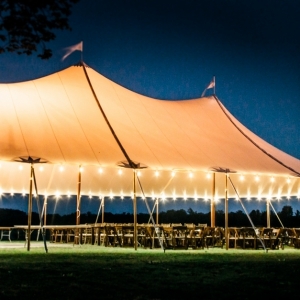 The tops of these tents can be illuminated with light for a breathtaking nighttime display. 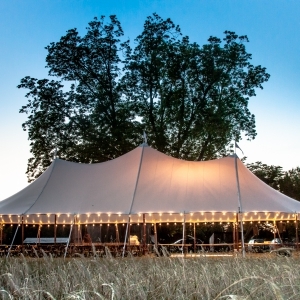 Another plus— sailcloth tent poles have an upscale wooden look, meaning there’s no need to rent draping or fabric to cover barren tent poles! 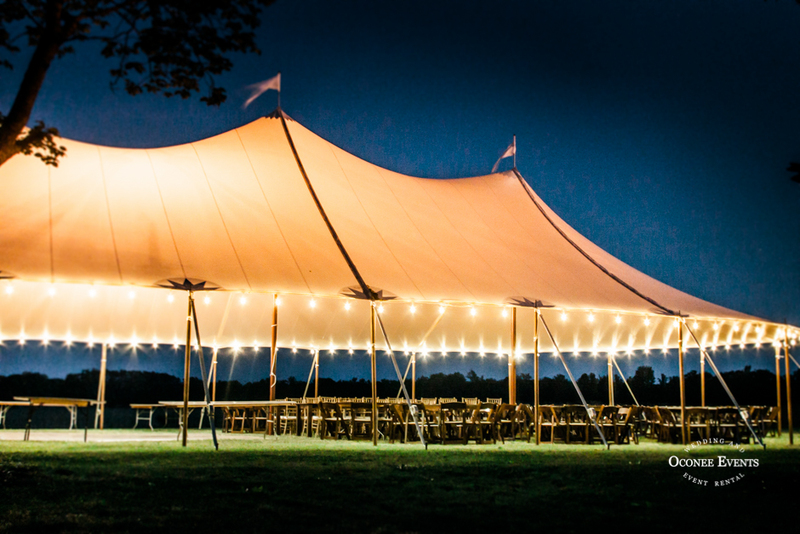 They look fabulous on their own! 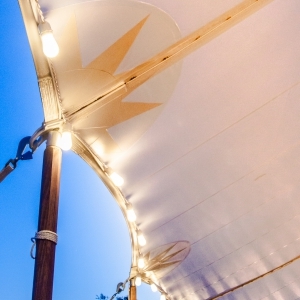 Like the regular pole tent, these tents require staking and are not suitable for use on asphalt or concrete. 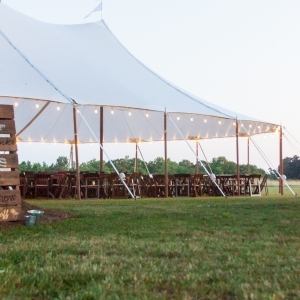 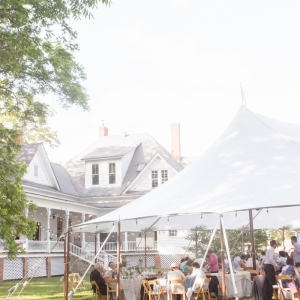 These tents pair perfectly with farm tables, crossback vineyard chairs and fruitwood Chiavari chairs.